António is a partner at Vieira de Almeida. He obtained his law degree from the University of Lisbon and is admitted to the Portuguese Bar Association. He was granted the title of ‘specialist lawyer in intellectual property’ by the Portuguese Bar Association in 2006. He has been a patent, trademark and design attorney since 2007. 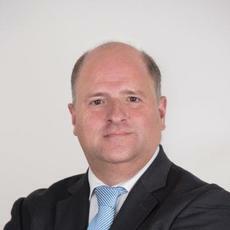 He joined the intellectual property practice area of Vieira de Almeida & Associados in 2011 where he is now a partner. In this capacity he has been involved in intellectual property litigation, such as patents (namely pharmaceuticals litigation), trademarks and designs, and advising companies in all intellectual property matters. He is a member of several IP international organisations, including AIPPI (Portuguese group), ECTA, FICPI, INTA, MARQUES and Union-IP. He was the chair of the ECTA Design Committee (2010–2016) and is currently a member of the ECTA Copyright Committee. He is also a member of the Union-IP Litigation Commission. He has been a speaker and delegate at several conferences, seminars and workshops regarding intellectual property matters and is the author of a number of IP legal opinions published in IP publications and in the press.